In the modern era of technology, people have been continuing to exist in a co-dependent sphere where they are almost entirely levitating towards a robotic world. We can see the current generation of people in constant focus into machine driven workforce, and they have become a part of their smartphone world. As we have come to know of theories, there is cause and effect, and there are pros and cons to anything and everything. We have come forward to access these filaments of technological advancement but have not gone far enough from what damage it can cause as well. If you look into the different features of the virtual world, you will come across several traits that can cause harm to your kids. There is a large amount of misuse of technology that is happening along with its evolution such as kids’ harassment and cyberbullying. As a parent, we all are concerned about our children's safety, and we must depend on the right tools that will do the job. The concept of SMS tracking is used through certain apps that will help you to look into your child's activity and monitor them all the time so that you can stay relieved. 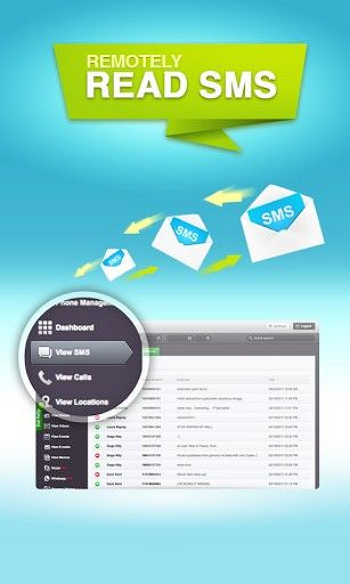 If you are looking forward to a solution, then these are the SMS tracker web apps for you to do the work. As parental control is necessary, there is a thin line between the dos and don’ts that kids are unaware of. If you have to have the patience to give them enough time, you can use these live Call GPS SMS tracker apps to monitor and see what they are up to. Let us look into a few apps that can save you from the technological damage. One can be constantly worried and caught up with the idea of feeling unsafe about their kids and curling up to the idea of thinking whether a personal conversation is exclusively personal or not, Famisafe is a brilliant and efficient SMS tracker web app to keep a strict watch on your kids. To make sure your kids are not missing on the way back from their school bus, not getting too obsessed with their smartphones, getting to bed in time and relaxing their eyes and prevent them from watching explicit content on the internet and much more that you are aware of. A lot of time parents miss out on taking care of their child, maybe not giving enough time or mere deprivation can cause them to end up misusing the device. Famisafe is a secure live Call GPS SMS tracker app that will provide you with the opportunity to monitor your children’s activity well. Famisafe function more with their GPS tracking system that enables the app to help with SMS tracking as well. Make the best use of your searches with this app and protect your kids from the unwanted. The app works perfectly on both Android and iOS. There no cons as of yet. It is an essential app if you want to perform any kinds of inspection on people, it works uniquely with its GPS tracking systems and helps you to monitor activities of anyone that you wish upon. This live Call GPS SMS tracker app will help you to detect your cheating spouses, to protect your children, to back up important data and documents and to make sure you can monitor your workforce well. This app works in several fruitful ways and can work to deliver results, and one can make great use of this app. Guestspy is an excellent app due to its functionality, and one can use it in various ways to help any situation. 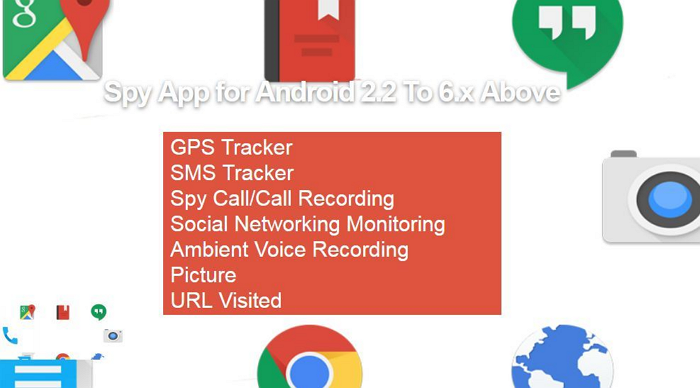 The app would have been of better use if there were voice call interceptions though there are great features that can help with the use of this app. Bring out the facts and stir out the secrets with Guestspy. 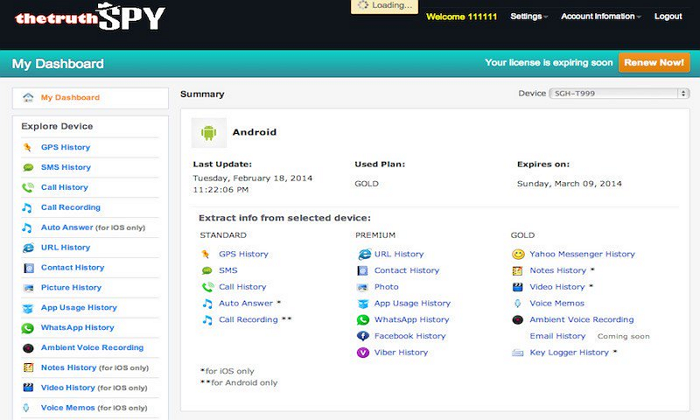 FoneMonitor is just the SMS tracker web app that you need. Make sure you have the best of this app when you are protecting your children from the harmful content and virtual environment of the Internet world. You can be sure of taking the steps that you want by looking into your kids’ activity and thereafter warning them to stay away from this kind of work. 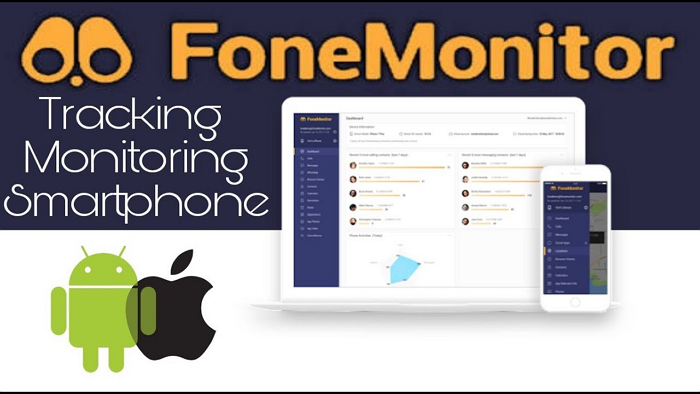 Fonemonitor not only protects your children but also helps you track another device, gives you the opportunity to look into their world, see their messages, check out their data and help them to follow the right path. With the help of Fonemonitor, one can explore the best ways to check on their kids. One can easily read the critical messages on the device. This app is fantastic because it can keep track of 39 sorts of data for you. 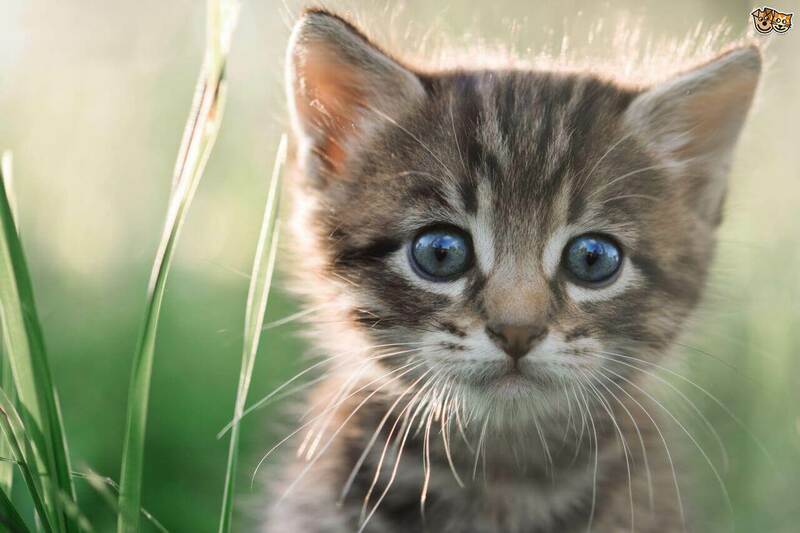 People can see that you are looking through their activity, so it does not remain a secret. TheTruthSpy is a great live Call GPS SMS tracker app when it comes to protecting your children and monitoring their everyday activity. The most essential features of this app are to monitor your employee, catch your spouse cheating, Parental Control and more. To take care of your kids’ activity, you must use this app to make sure that are not getting driven in the wrong path. Truth spy is an essential way to keep your searches going through managing live calls, GPS, SMS tracker features. Helps you to track the usage of various apps. One cannot enjoy the facilities from the free version of this app. They have to buy it. 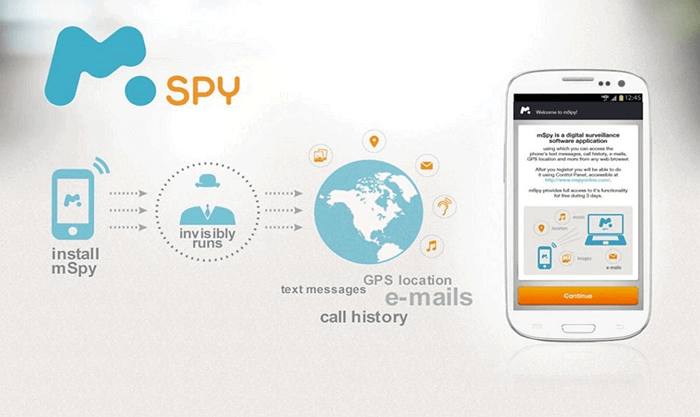 mSpy is an outstanding SMS tracker web app for modern-day parents and other individuals. If you are constantly worried about secrecy and getting too worked up with your kids’ engagements on the virtual world. You have to make sure that they have received the proper care and time from their parents. mSpy is a great app that will make sure you get to know everything about your kids’ activities. When your kids are getting into trouble, you are the one who needs to pull them out. Make sure you use the best of this app and give your kid the education they need. Many great features that will catch your eyes and you used them on any device that you like. Keeps a good track of call logs and shows, send and receive data. The app is quite pricey and expensive and voice call recording not available. 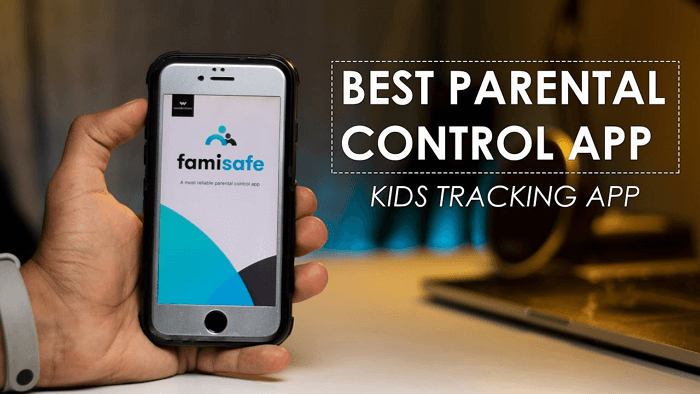 Famisafe is a wonderful live Call GPS SMS tracker app concerning your child’s activity on the internet; it will help you thoroughly to monitor their activities and make sure that they are not getting into any trap. Suspicious Cyberbullying - By connecting yourself with the Famisafe app one can make sure that they are always alert of harassment, cyberbullying, inappropriate content and other risks coming in the way of their children. To prevent Cyberbullying – Cyberbullying is the worst crime on the internet today, and kids are mostly the victims of this. With the Famisafe app, one can save their children and take care of their family. If you are a parent and you are constantly worried about your kids’ activities in the Internet world, you must ensure using these apps to protect them from fraudulent crimes and actions that count to be a threat for their futures.